SSRS Reports not Rendering in Chrome, Safari and Firefox? By default SSRS Reports don't render in Chrome, Firefox and Safari. However, there is a hack that can be implemented to get this working. To fix the problem, we need to create a custom stylesheet for SSRS. 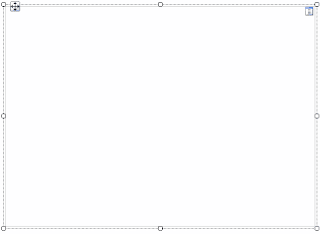 The new style sheet will use media queries to target the non-IE browsers. So, In theory, IE will not be impacted using this solution. This by no means a perfect solution, and I have not had time to test it in every possible scenario. However, it has worked for me when I know a user needs to view a report in a non-IE browser. It works best if you are hyper linking to a report from another location. For SQL Server 2012, you will find the SSRS css files located in C:\Program Files\Microsoft SQL Server\MSRS11. [Instance Name]\Reporting Services\ReportServer\Styles. where NonIEStylesheet is the name of the css file we placed into C:\Program Files\Microsoft SQL Server\MSRS11. [Instance Name]\Reporting Services\ReportServer\Styles. Also notice we didn't use the /Reports/ endpoint for SSRS. We have to use the /ReportServer/ endpoint. This article shows you how to change an SSRS chart type dynamically. 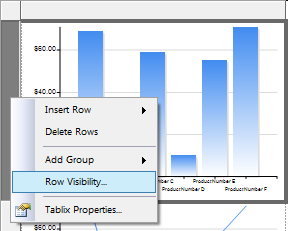 In order to change the SSRS chart type dynamically there are a few steps. SSRS does not support this natively, but there are a few things you can do to dynamically change a chart type. 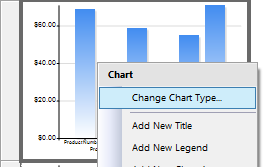 The first step to dynamically change your SSRS chart type is to add a parameter called "chartType" and give it a default value of "Bar". Next we add a table that will help us to dynamically hide our charts. Once you have added your table, delete all of the columns except for the first one, and delete the bottom row so all you have left is just one row / column table. 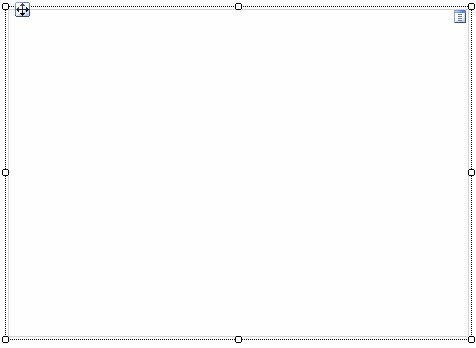 After you do this, resize the table box so it is the desired chart size. Now copy and paste your chart into the rows below and then resize each so they are the exact same size. 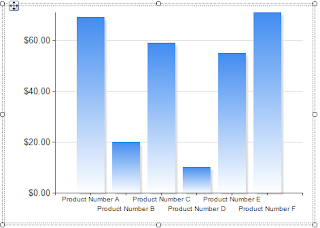 How you can do this is by clicking on your chart and opening properties (F4) and going down to the Position area and copy the size of your chart and pasting that value in all of your rows. =iif(Parameters!chartType.Value = "Bar", false, true). Click OK and OK to apply the visibility expression. This is a critical step in changing a chart type dynamically. Repeat this step for every chart, changing the chartType.Value="Bar" to each chart type value (Line, Stacked Column, Stacked Bar, etc). 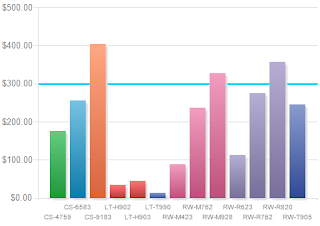 What this will do is whenever we change our parameter to a different value, it will hide every other row and only show the row we want making it look like it is a dynamically changing chart type! 1. 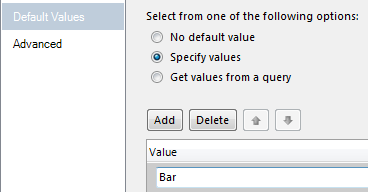 Add a parameter called chartType and give it a default value of "Bar"
2. Add a parameter called DrillAction and give it a default value of "swap"
When developing SQL Server Reporting Services reports, one method is to use SQL Server Data Tools 2012 (SSDT). A huge benefit of using SQL Server Data Tools is that Data Tools is a derivative of Visual Studio, and therefore supports source control for version management of reports, datasets and data sources. SQL Server Data Tools will support using TFS, SVN or any other source control system which has a provider built for Visual Studio. In a large Microsoft shop, TFS may be a logical choice, however, in my experience, it has proven to be buggy and somewhat unreliable. We saw issues in our environment with checkout, checkin and conflict merging. In light of the issues we experienced, we decided to go with Subversion (SVN). If you don't have SVN in your environment, but would like to experiment with it, a low cost way to do this is with CollabNet SVN Edge. SVN Edge is relatively easy to setup and can be run on Windows, Linux or Solaris. I have personally run it on Windows and Ubuntu 12.04 LTS. Both were easy to setup and configure by following CollabNet's instructions. Technically, they don't support Ubuntu, but I had no issues with it. 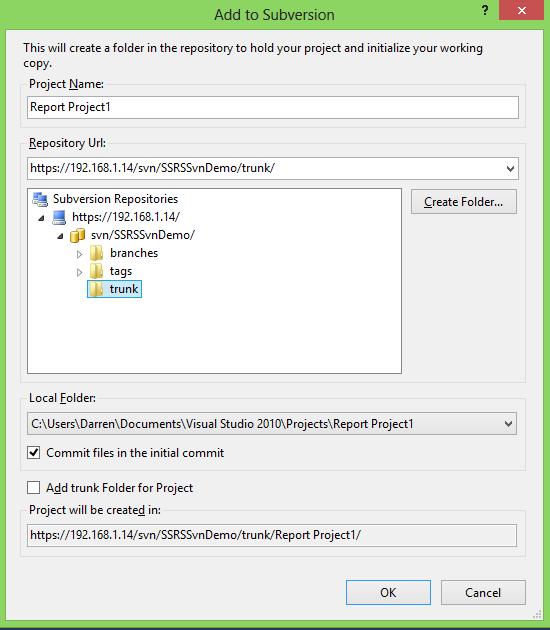 If you decide to use SVN, you will need to download AnkhSvn, which is a free Source Control provider for Visual Studio provided by CollabNet. Exit all versions of Visual Studio prior to installing AnkhSvn. Once the installation is done, you will be able to interact with your Subversion repository directly from within the IDE. In addition to using AnkhSvn, I like to have TortoiseSvn installed in tandem. TortoiseSvn allows you to interact with your SVN repository from Windows Explorer. TortoiseSvn comes in both x86 and x64, so when downloading make sure you know which architecture of windows you are running. This article assumes that you already have an SVN repository created, with the appropriate trunk, branches and tags directories included in the repository. As per SVN best practice, you will want to make sure that your Repository has a trunk, branches and tags directory. In later posts, we'll talk about why, but for now, please make sure that you follow the SVN best practice. 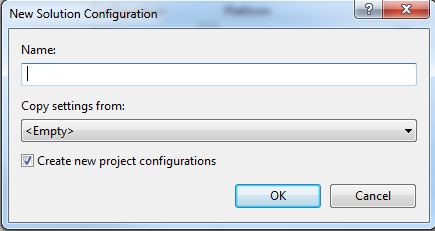 When you click "OK", you will be prompted to enter a comment and check your project into SVN. This is because the "Commit files in the initial commit" checkbox is selected. If you uncheck that option, you would have to manually checking the project to achieve your initial checkin. On of the best ways to recover reports, datasets and data sources for SSRS is to ensure that the projects from which the reports, datasets and datasources are deployed are checked into source control. The alternative is to have regular backups of the SSRS Database which is of course a best practice, but if a report developer is having issues with his/her reports on an enterprise SSRS environment, it just isn't practical to restore the database. However, if the developer is following source control best practices with branching and tagging in svn, or branching and labeling in TFS, recovery of reports, datasets and data sources will go much smoother. 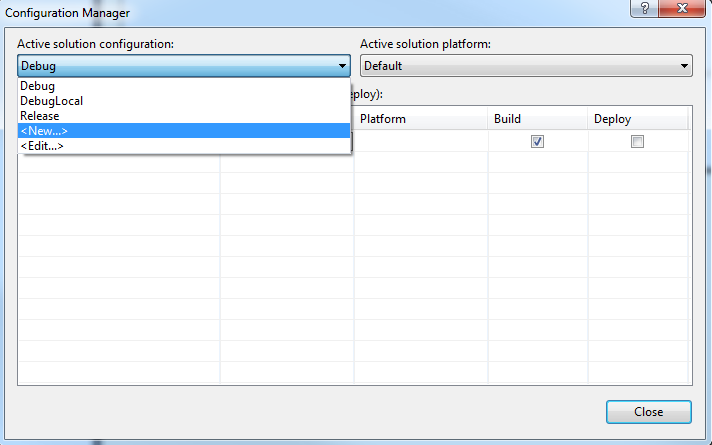 If you have followed the steps in Configure Deployment, then this will be one of the easiest things you will do. And you will love it. NOTE: This is critical. Make sure you select the correct environment. You should have already have configured this before this step. If you don't think you have, please go configure it. Your Output will show your Build and Deployment. Build configurations allow you to specify which environment to which you want to deploy reports. For example, if you have a Development, Functional Test, Stage and Production environment, you will want to create a build configuration each said environment. I would name them Dev, Test, Stage, Prod. If it does try to resolve errors / warnings and build again. Select the drop down under Copy settings from: to copy settings of an existing configuration and then tweak. 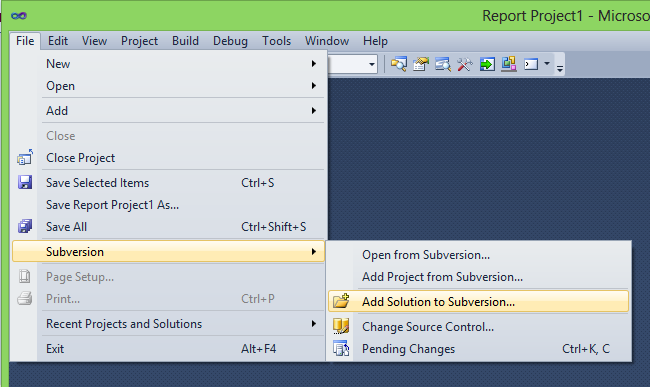 In the Solution Explorer navigation pane, right-click on your project and select Properties. The Project Property Pages window will open and will show Configuration options. i.e. Test, Dev, Stage, Release, etc. These two are defaulted to false because it is safer. Whenever you deploy your project for the first time these will be deployed. HOWEVER every time after your first deployment, these will not be updated. This is to ensure that your connections do not get overriden. If you change these properties to true then they will override each time you deploy them. I would keep these properties set to false, especially your DataSources. If you find yourself updating either your Datasets or your DataSources then you can change this property. An Add New Item window will open and select Report as the template. Insert a new Name. Try as much as possible to use a single naming convention to make your life and others' easier. 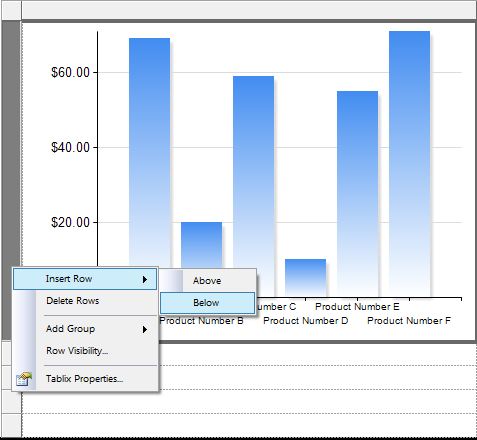 A Dataset Properties window will open similar to the Shared Dataset window. You can either utilize an existing shared dataset, or you can create your own query here. NOTE: I suggest creating a shared dataset and then selecting it from a list here. Make sure to name your dataset. If you are using a shared dataset I HIGHLY recommend you name it exactly like the shared dataset to eliminate confusion. NOTE: It is critical that you think about what you are naming your Dataset because it can be difficult to rename. NOTE: You have the ability to edit these fields, but I suggest that you edit your query so these fields auto-populate and no errors occur. NOTE: This may not be the place where you will want to add a filter. You can also add a filter inside of a report. Since this is a Shared dataset, you may not want a filter unless you want the filter on all reports sharing this dataset. If you have formatted your parameters in your query correctly they will show up here.